Or this: “Why would you put those unused portions away for another time? Use them up now – while they are already out! Sock away some food in the freezer for a busy night. 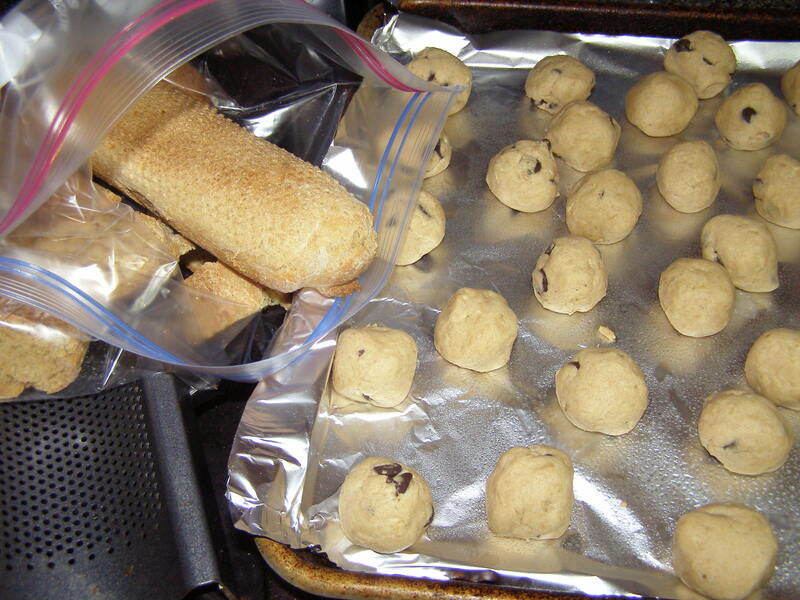 For tea time, just warm up the oven and pop those cookies on the sheet. Homemade is so much better for you. Likely a third of the cost of the ready-bake, store-bought version. Also good as a last minute gift! Do you see a pattern? 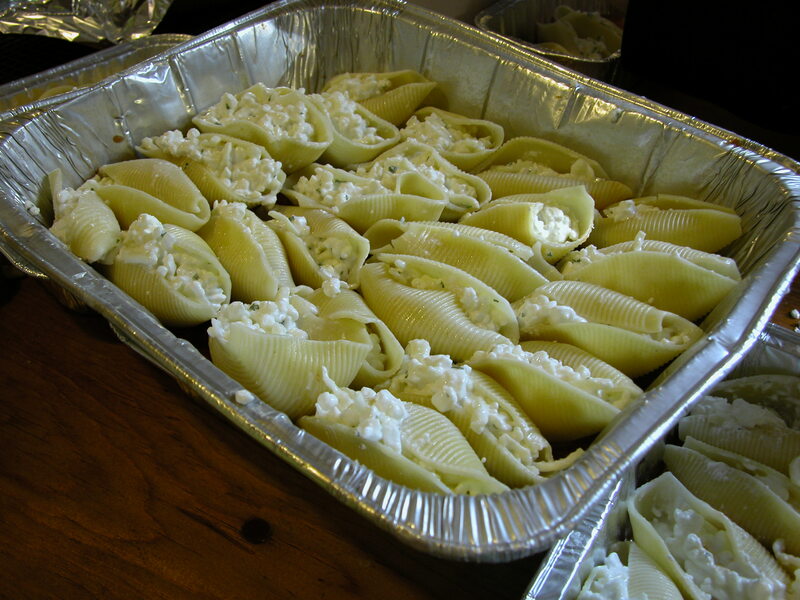 Pull out what you need – a few for your husband’s lunch or a casserole dish-full for company. You can be spontaneous because you’ve already done the work! 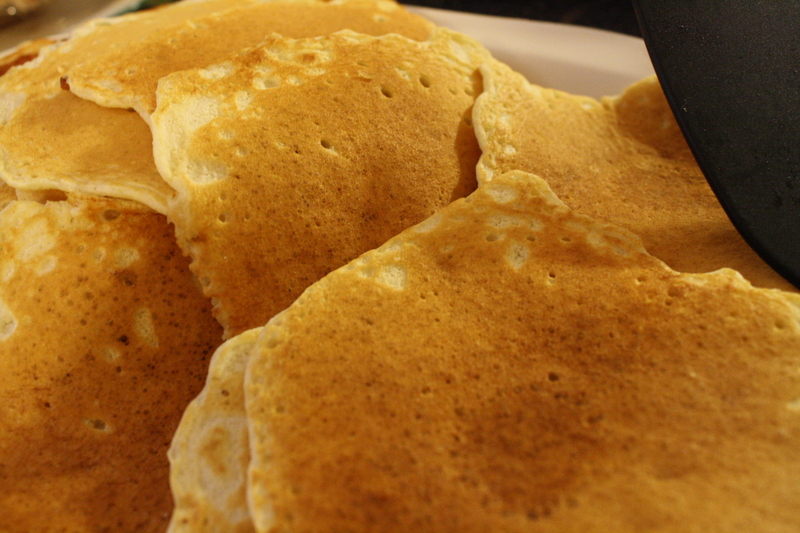 Pancakes, waffles – spend a Saturday morning flipping pancakes. During the week you have homemade convenience just a zap of the microwave away. 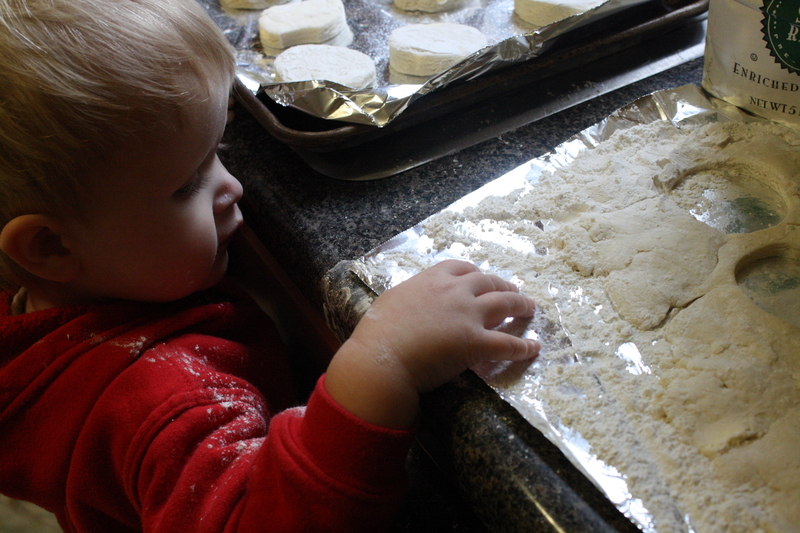 Biscuits – don’t you love your mama’s buttery biscuits? Don’t care to take the time rolling and cutting during the crazy time before supper? Make a triple batch and freeze it. Peas and beans – soak then cook your beans in the crock pot, bag up that huge amount in individual, family-sized portions. 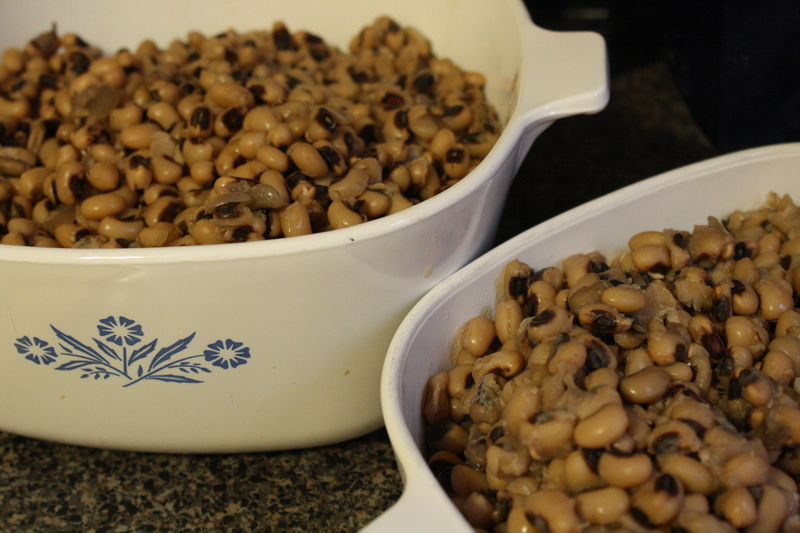 Serve as the main course with cornbread or as an easy, complimentary side. But I don’t have the freezer space you say? Join in the eat from the pantry (and freezer) challenge. Before you know it, you’ll have cleared out food you’d forgotten you had. Double your recipe and save it in the fridge. Often I cook double and then use it for lunches or another supper later in the week. When I make bbq chicken in the crock pot I make more than we will eat. On purpose. 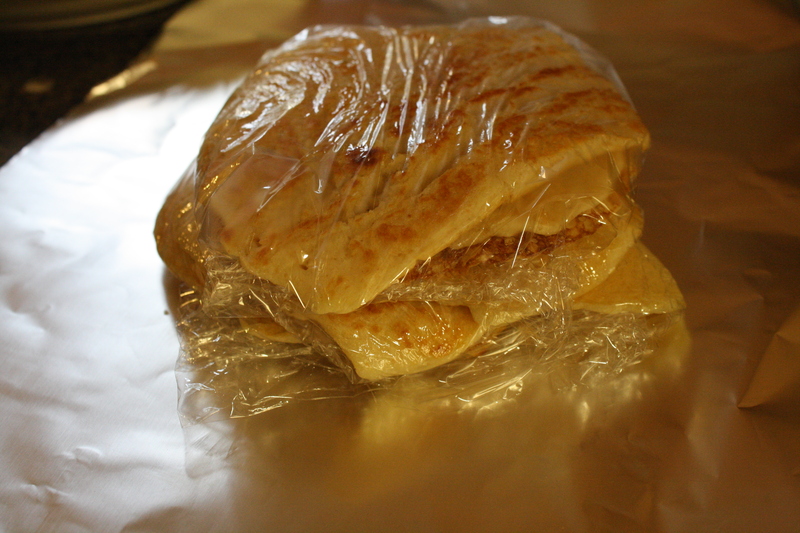 That’s so I can make chicken and cheese tortilla wraps for lunch. Or maybe throw the extra chicken into a favorite casserole. This Thursday we are having chili. I plan to double the recipe so we can have either taco salad or Chicago style spaghetti on Saturday night. Start simple. Pick one recipe. Your family’s favorite. Double it. Stick the extra in the freezer or make two meals from one. Have a pep talk with yourself like I do. Then start planning your weeknight vacation! Do you have a favorite, easy recipe you like to double? What are your sock-it-away strategies? I’m right there with you on this Tricia! This has been one of my goals (or resolutions, I suppose) to put a meal or two in the freezer each week. Just this week I’ve saved a meat sauce that will go nicely with frozen ravioli, leftover mashed potatoes for making homemade gnocchi, and a meatloaf. Why make one when you can make two?? Love it! This is changing my life. And my husband loves it too, since it saves us the cost of take out on a busy night. I do this with meatballs. This is the one food item that I wear gloves when preparing, because I hate the feel of the greasy uncooked meat. So, I always double or triple the batch, cook them all in the oven, and freeze the extras. I’ve also been doing this with pizza ingredients: shred extra cheese, make extra sauce, etc as I am much more inclined to make homemade pizza if I have some frozen ingredients already done. Great ideas, Tricia. I am usually cooking for only myself and maybe 2 more people. I usually discard a lot of left overs after 3 or 4 days. I’m going to start making some TV dinners or save ground meat, etc. for other recipes as you suggest. This is wonderful, just sooo inspiring!! I need to start having these pep talks with myself =)Thank you Tricia for taking the time to put all this together!! Thanks ladies! I had a couple questions in email… each of the examples above is a link – cookies, biscuits, shells, etc. – that will lead you to the recipe and more explanation on freezing.